New concept of electric music instrument/sequencer. 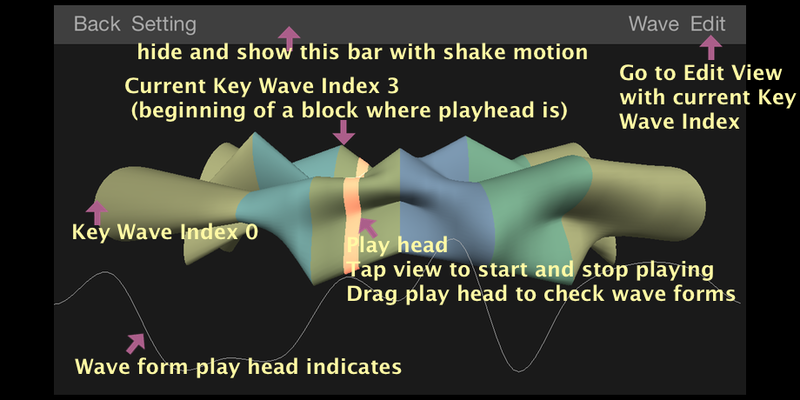 A tube synth consists of several key wave forms which are smoothly connected. Its shape is formed by key waves which are converted in polar-coordinates. 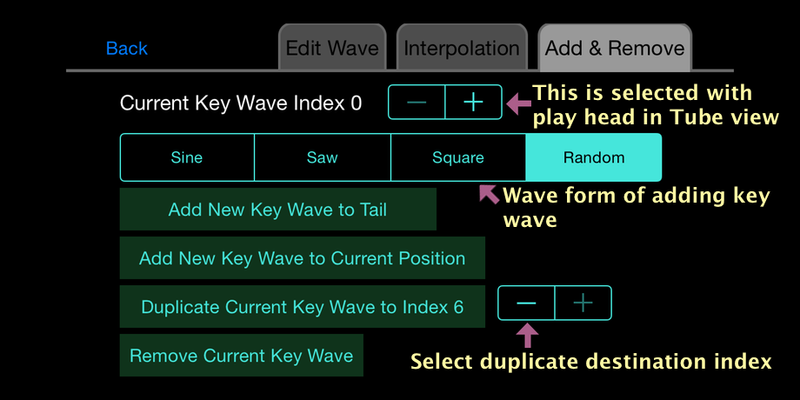 - adjustable Interval duration of each key wave. 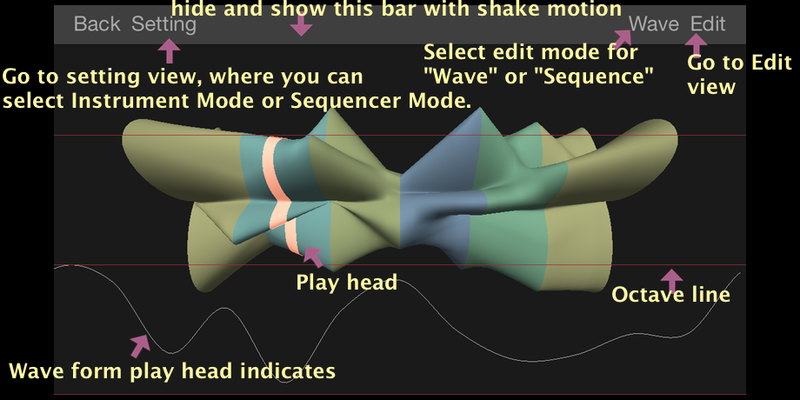 - adjustable pitch and amplitude at each key wave. 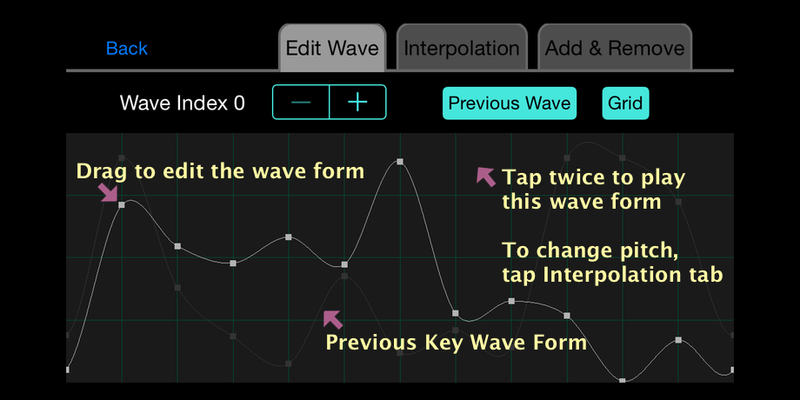 - Variety of interpolation methods to form waves. 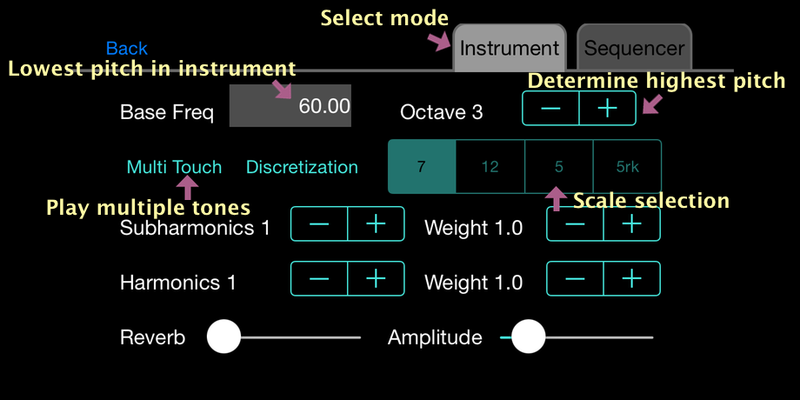 - Adding harmonics and subharmonics with weight. 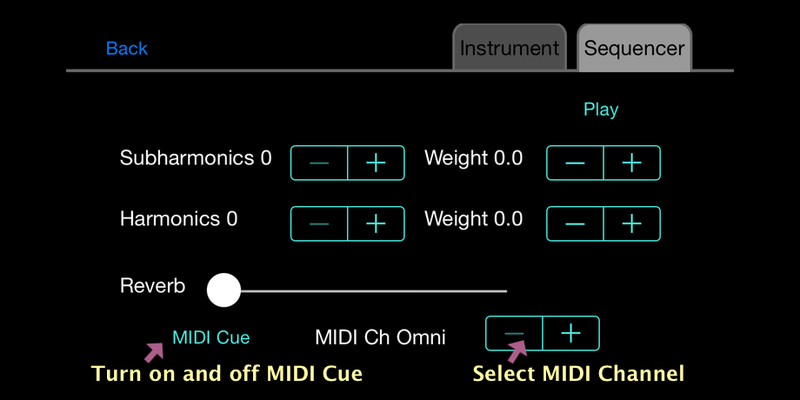 - No midi input or output. Just sequence cue by midi is implemented. Some waveform with rapid changes in sound pressure could be damageing to your ears at high amplitudes or for long periods. Please avoid using earphones or headphones when editing waveforms. 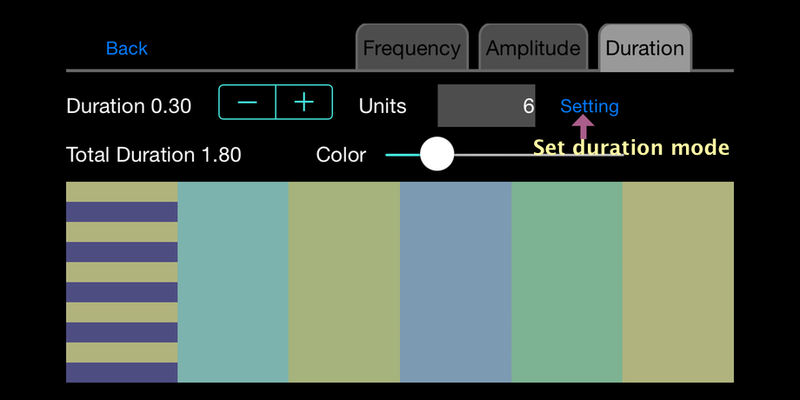 Instrument Setting Multi Touch : For iPhone 5 is maximum touch number, and for iPad it's 10. 7 is for major scale[Do Re Mi Fa So Ra Ti Do]. 5 for pantatonic scale[Ra Do Re Mi So Ra]. 5rk is for Ryukyu pentatonic scale[Do Mi Fa So Ti Do]. 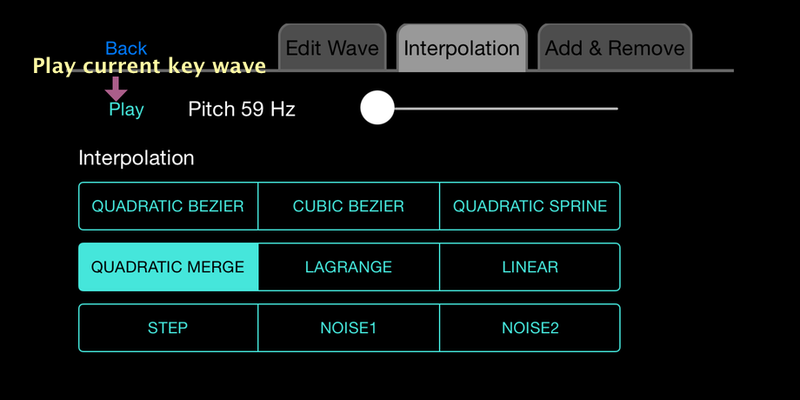 Subharmonics and Harmonics : adds overtones to currently playing sound. If 3 is selected for harmonics and a playing pitch is 120Hz, it adds 240Hz, 360Hz and 480Hz to the original sound. 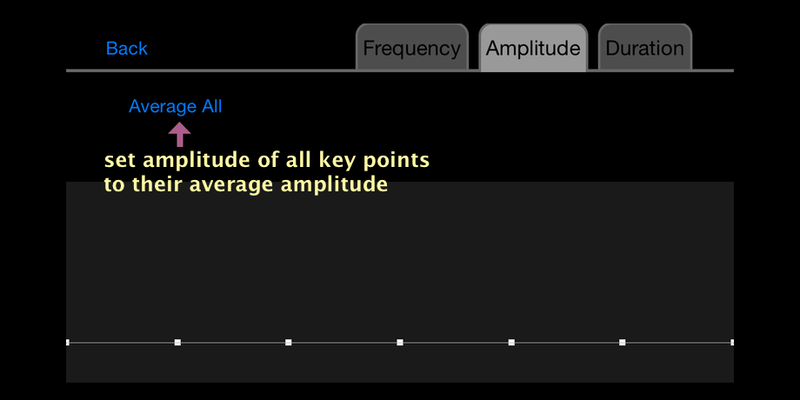 In same case with subharmonics, it adds 60Hz, 40Hz and 30Hz. Weight : A weight to each harmonics is calculated with the folowing formula. If playing pitch is 120Hz, it would be as folowing chart. 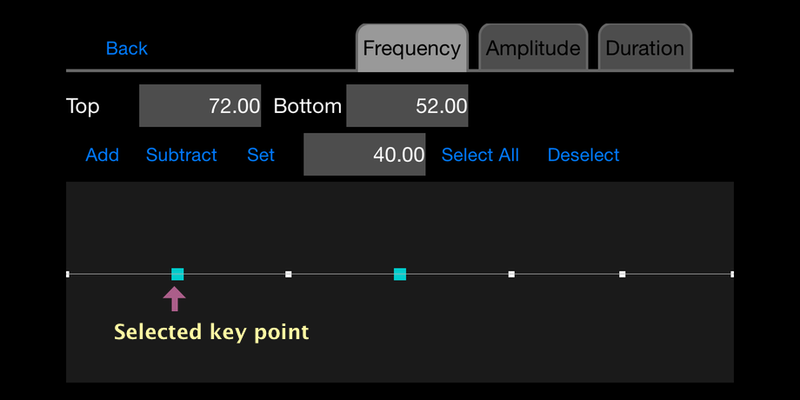 Sequencer Setting Subharmonics and Harmonics : see details in Instrument Setting section. Edit Wave You can pick up the number of edit points when you create a new tube, but after that You can not change the number. Edit Wave Interpolation QUADRATIC BEZIER : Bezier curve with 2 control point. CUBIC BEZIER : Bezier curve with 4 control point. QUADRATIC SPRINE : Regular quadratic spline. The curve at first and last edit point might not be smooth. QUADRATIC MERGE : Calculate quadratic function for each edit point with its before and after edit points, then leanerly add up all values. The curve at first and last edit point is smooth. LAGRANGE :Interpolate with an ((Number Edit point)-1)th-degree equation. The curve at first and last edit point might not be smooth. LINEAR : Simple linear interpolation. STEP : Nearest-neighbor interpolation (also known as proximal interpolation). Edit Sequence Duration Fix Minimum Unit Duration : Fix unit duration. Minimum value is 0.01. Default value is 0.05. 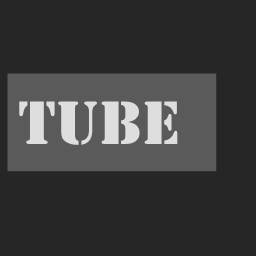 Fix Total Duration(Time) : Fix total duration of tube with time input. 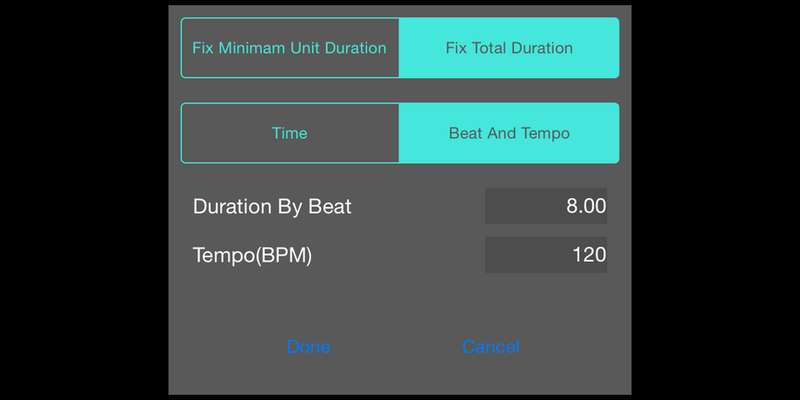 Fix Total Duration(beat and tempo) : Fix total dutarion of tube with number of beats and tempo. If tempo is 120 and duration of tube is 8 beats long, the duration will be 60/120 * 8 = 4 seconds. Can't it export as audio file? It's a shape which wave forms are rolled up to. It rotates so you can see its all sides.